I have a NVIDIA GeForce GTX 1080 Ti and just a few hours ago, while working, it started making a weird, pretty loud, sound. This happens while using eevee in rendered mode and navigating the viewport, but not in developer mode nor with Cycles. I'm worried about my card, and I can't work like this. The sound also does not appear while doing benchmarks or playing games, it seems to be connected to Eevee rendered mode only. Turning off certain things like bloom, bumps and so on changes nothing. Hope it helped. Had a similar issue once. The phenomenon is indeed most likely coil whine and it's not dangerous for your card. 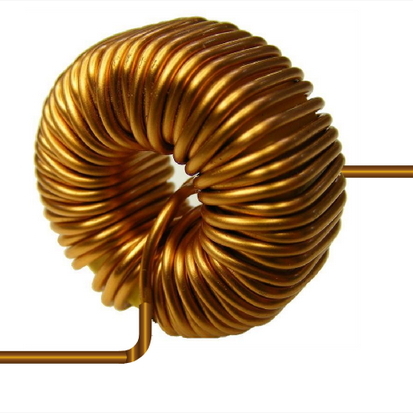 As you mentioned in your comment, the coils, or more accurately - the chokes, clean out high-frequency alternate current while letting low-frequency alternate current pass. On modern graphics cards, they are more likely housed in small black quadratic housings. When the current passes the choke, the windings start to vibrate which may produce a high-pitched sound, quite similar to when you let a wine glass "sing" by rubbing your wet finger across its rim. These vibrations do not damage the chokes or the parts in their surroundings. In "old times", when CRT monitors and (even more so) CRT TVs were still a thing, the sound was quite common, but people were so used to it that they noticed it only in the most extreme cases. It's also no sign that your card is "broken" or "low quality". While it's true that some manufacturers produce cards that are more likely to suffer from this effect, the rest is just quality tolerance. One of my two R9 nano cards "whines" a little (only when using Eevee) while the other stays quiet under all circumstances. While it's more or less annoying there is unfortunately no way to get rid of coil whine once and for all. Not the answer you're looking for? Browse other questions tagged rendering gpu eevee hardware or ask your own question. Why can't I use GPU rendering in Blender?